none of us have had our clothes off, nor our boots even, except occasionally. the wounded, the maimed and a terrible anxiety lest the line should give way. What war(s) did John McCrae fight in? What did John McCrae do in the war? What else is John McCrae known for? In 1915 he was given the rank of Major and appointed brigade-surgeon to the First Brigade of the Canadian Forces Artillery stationed at Ypres, Belgium. John McCrae fought in the Boer War and the First World War plus he was a physician, a soldier, a teacher, a poet, and a respected author. TIME: This lesson plan may take 1 - 2 (45 minute) classes or can be edited as required. Although recognized as the author of the world’s most beloved war memorial poem (In Flanders Fields), John McCrae accomplished a great deal more in his short life. 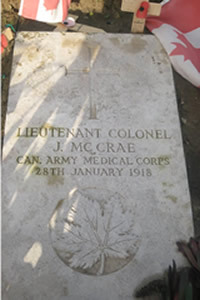 This lesson will introduce the many other achievements of John McCrae and briefly explore the conflict between McCrae’s love of the military and his love for medicine. Students will also explore the stories behind saving John McCrae’s war medals and his birthplace, McCrae House museum. 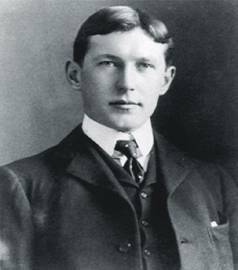 John McCrae inherited his father’s love of the military and along with medicine, the military figured prominently throughout McCrae’s life. Explore the many other achievements of John McCrae. McCrae was the first student ever to be awarded a scholarship to the University of Toronto; was a soldier in the Boer War, was a member of the Royal College of Physicians in Britain; ran his own private medical practice; was a contributing writer of the textbook “Osler’s Modern Medicine”; co-authored a textbook on Pathology; was expedition physician to Governor General Lord Grey’s Hudson Bay canoe trip; plus, was the first Canadian ever appointed as Consultant Physician to the British Armies in the field. Preview Who Was Lt. Col John McCrae?